Wrist Length Satin Stretch Gloves Wrist length satin gloves with 10% lycra or spandex for stretch. One size fits most, about sizes 5-9. 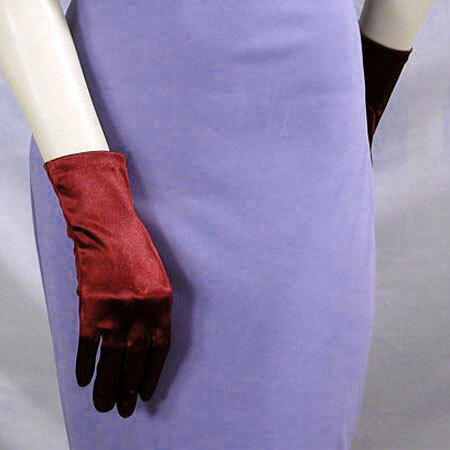 These glove are versatile and work well on a bare arm or under a jacket or dress sleeve. They are perfect for weddings and work well both outside and in and can be worn for formal and inform events. Color: wine Hue: Code: #6A003E.